^ Li, Bo; Cantino, Philip D.; Olmstead, Richard G.; Bramley, Gemma L. C.; Xiang, Chun-Lei; Ma, Zhong-Hui; Tan, Yun-Hong; Zhang, Dian-Xiang. A large-scale chloroplast phylogeny of the Lamiaceae sheds new light on its subfamilial classification. Scientific Reports. 2016-10-17, 6 (1). ISSN 2045-2322. PMC 5066227. PMID 27748362. doi:10.1038/srep34343 （英语）. 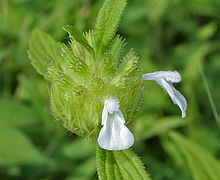 ^ LI, BO; OLMSTEAD, RICHARD G. Two new subfamilies in Lamiaceae. Phytotaxa. 2017-07-14, 313 (2): 222. ISSN 1179-3163. doi:10.11646/phytotaxa.313.2.9 （英语）.